Also people, places & events. Theme of "being in right mind, working hard, others not working, and possibly writing past the sunset…. Photos:- Lead photo = The Bears with their "100 up" sign, Try Harder or hard whatever, end of day sunset, and a losing weight me! Poems:- 1) An Inside Job, 2) Promise for tomorrow, 3)The Farmer and the Magpie and 4) Effortless. Being "well chuffed and grateful" I will start with our "100 up" success of a hundred lovely people on here with us, including many nationalities, countries, cultures and opinions! Bless you all, for every one of you being on here supports me, and thus the excellent charity Help for Heroes I support and donate to, giving me renewed confidence and encouragement to strive further. THANKS!!! With deeds that need correction. Or it like a cancer grows. Should that be your resolve. Or leave others all deceived? You will never be believed. That on your inside grew! Easy then and just what to do! Well is actually what I tend to do, for if I’m not happy and something is affecting me I usually go into attack mode or deal with it quickly somehow! My monthly article for The Sussex Newspaper online for February was published earlier this month and is entitled "None so blind?" and of course well worth a read, even for the poems therein! The website has been "spruced up" and changed a bit, not too obvious but nicely done (thanks James) and improved. Did you/can you see the changes? NO clues come ON ???? On Saturday February 17th I was again featured on the now "international" East London Radio show "Talking Stories" hosted by the suave and smooth Tony Cranston (cheers man, one back there lol). Sorry no easy link but is easy to find and I’m reading out my poem "Jigsaw", a fairly "spicy" romantic one, (be still S P ) ???????? about 3/4 through. Me being me, it is not in this blog but I WILL put in soon and it is in my 4th book !!! I have some new booked "gigs and ventures" arranged soon, all donating to Help for Heroes, so more details a bit later on that..???? MORE news further on but now a "poem break" and one on sunsets that I often work beyond, and from my 2nd book, and also an early "newspaper published" offering. Like a picnic for your eye. It has to demonstrate its might. With cheer instead of sorrow. All keen to show its bloom. Is with bad decisions we make! Not a regular themed style or subject from me, but hey you never know what I am going to produce, but it WAS an early one. ???? Back to more news and further "expansion" involves Andrew at the wonderful Mantel Farm Catsfield ??? ?, who is now going to have one of my poems quarterly in the farms excellent monthly magazine. I have already had two poems in the magazine. Of course the lovely "Chicken Kerry" ??????? ?is still about there, but I suspect hiding a bit as not seen her for a while.???? This coming Friday another of my poems "Heartfelt" ( O K !!! I will post that one next time too) will be in a great (Eastbourne area) local newspaper of The Volunteer Hub run by the energetic (or manic, lol says "I") Helen. The astute on here will recall that I wrote, and read to the "Great, Good and Supreme" last January 2017 at the Volunteer launch my poem for them "Volunteer"! Another little bit of "fame" is that I have now been mentioned on the excellent "Mellow Magic" show hosted by the wonderful Lynn Parsons ???? 20.00 – midnight Monday to Friday on Magic radio. I love the show and regularly listen while writing away, so the mentions and "resident poet who occasionally contacts" was well appreciated thanks Lynn! 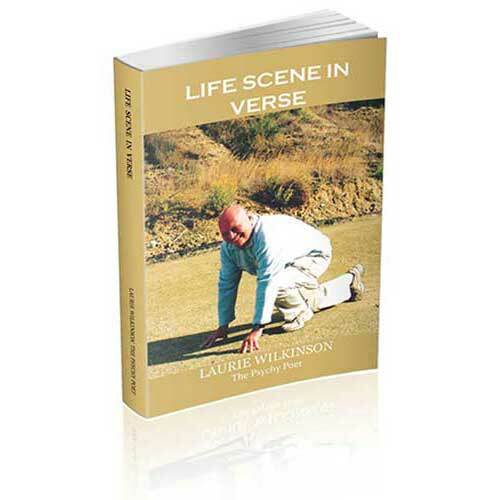 The last couple of poems are on people, Errrrr, "less active than others" (LAZY), so the first of these two from my 2nd book, "More Poetic Views of Life"….. But takes all that can be found. Not thinking they’ve done wrong. That bit extra they take out! Took yours you’d not yet tasted. Then just squanders more, and spends. Such a commitment is a sin! Like the farmer’s gathered hive. For ours or the farmer’s pains! Last but not least on the "nice news" front was an "overseas phone call" from a (self titled) "Major Fan" and supporter Suanne from South Africa, who regularly reads, feeds back and critiques my poems for me, (one of several highly valued ladies who does this) and also supports me with advice and encouragement. The phone call with contrasting accents was interesting as well as pleasant. Last poem and again on "energy challenged " people, and from my latest book "Life Presented in Verse". It actually started out as a "vague" piece but soon turned into this…. Proclaim the coming time of spring. Those who contribute the least. Whilst waffle can baffle brains. To improve or make correction. That in the effort they abstained. Only what will effect them. So that’s another Blog finished and I hope you enjoyed it, (again?) hopefully . Thus from Ted n Beth and "I" who remain "often imitated but never duplicated" it is goodbye for now, as The Journey Continues WONDERFULLY….